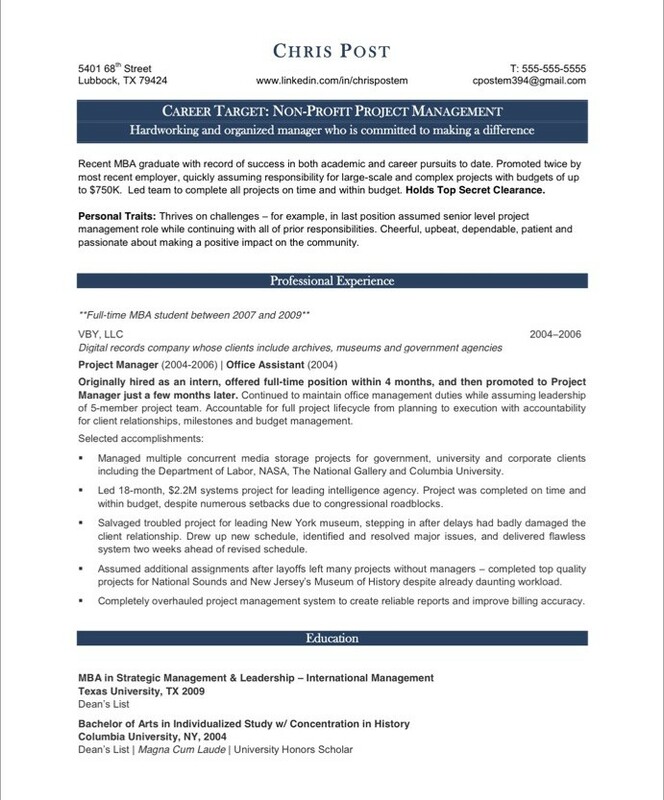 Chris was a junior project manager (only 2 years of experience) and she had decided that she wanted to make a career in the nonprofit sector. To help with this transition, we focused on showing non-profits why she would be valuable to their teams. The resume sub-header balances her professional qualities with her commitment to helping others. 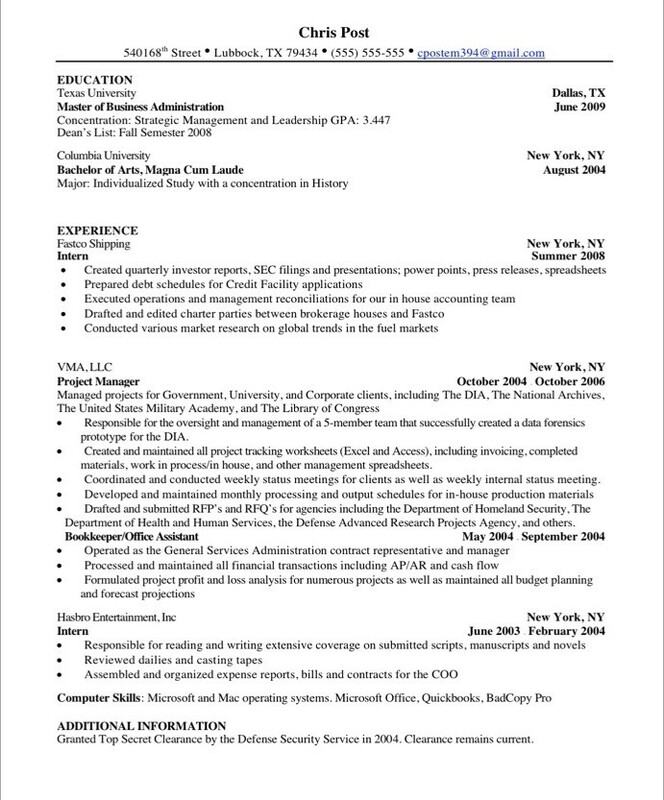 But after that, the whole resume focuses on her contributions and results. If you decide to take this path, remember that non-profit organizations are not looking for fluffy idealists. They need organized, hard-working, results-focused people who can get a lot done, often in difficult circumstances.